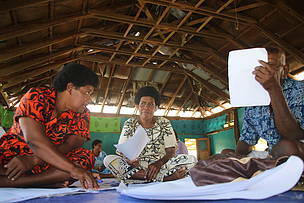 (L-R) Makitalega Ralulu of Malakati village presenting their group discussion. 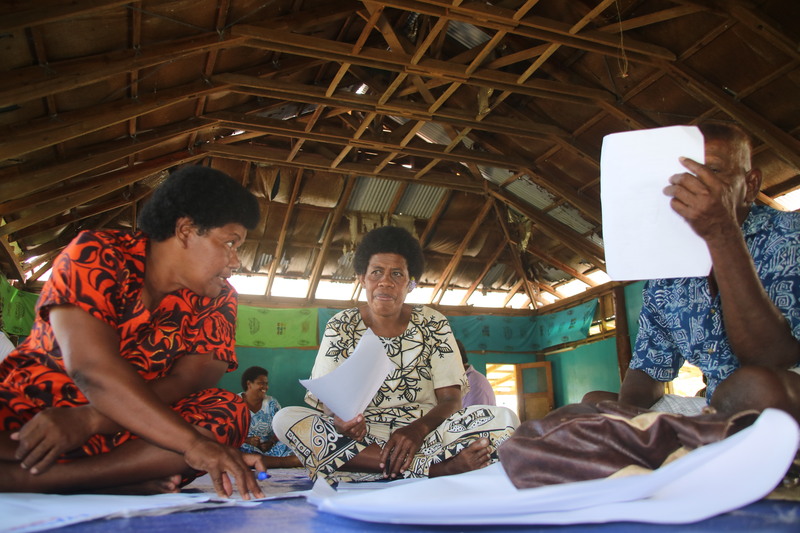 With Fiji’s cyclone season approaching in the coming months (November- April), the World Wide Fund for Nature Pacific (WWF-Pacific) held discussions with the communities of Nacula district, in the Yasawas on reviewing the district and community’s disaster risk reduction (DRR) plans. Through WWF-Pacific’s “Living with Change: Resilient Mangroves, Fisheries and Peoples of Fiji and PNG” project which is funded by the German government, discussions at Nacula village, provided a platform for the communities to re-look at how prepared the district and the communities are for any natural disaster. 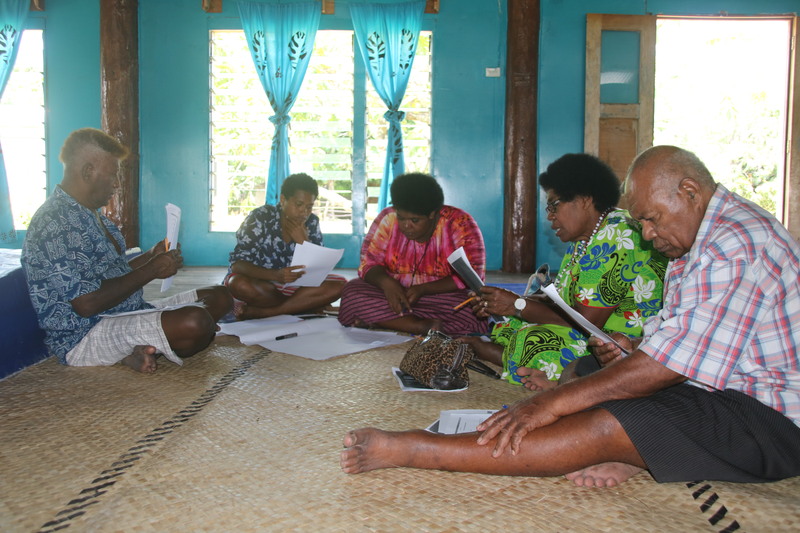 “The cyclone season is around the corner and communities need to start preparing themselves, for those that have developed their disaster plans, we have reviewed and amended them, for those that haven’t developed their plans, we held discussions and we will need to draft their community disaster risk reduction plans as soon as possible and this includes identifying measures in the disaster risk reduction cycle stages i.e. prepare, response, recover and rebuild,” said WWF-Pacific climate change support officer, Apolosa Robaigau. 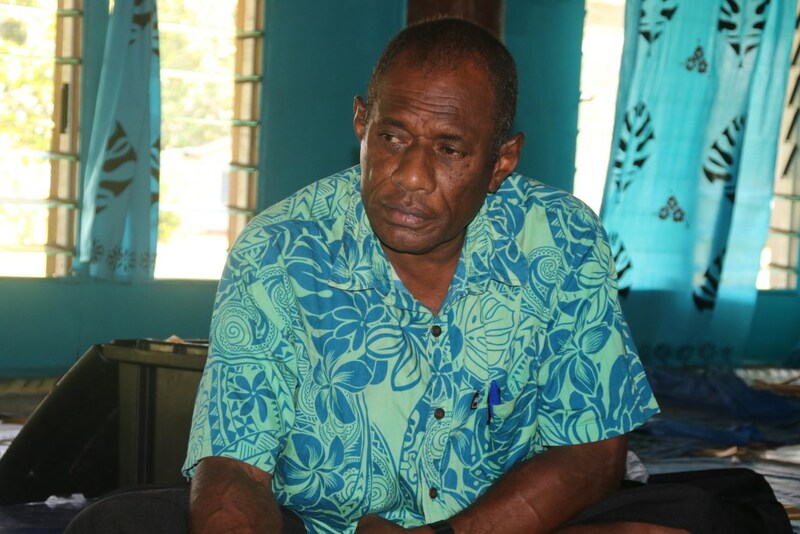 “This is good timing for us to have such discussions on our DRR plans for the district of Nacula and it is very essential for us because we are affected by cyclones, flooding and droughts,” said Nacula district representative, Saimoni Naivalu. “There are a lot of things to learn, in terms of disasters especially how to better prepare my family, I have managed to further my knowledge and understanding in terms of disaster risk reduction now I have to try and share the knowledge with rest of my people back in Malakati village,” said Makitalega Ralulu of Malakati village. The consultations also included reviews on the implementation of their work plan for the district for the first five years and focuses on essential issues such as disaster risk management at community level, access to clean safe drinking water and access to renewal sources of energy. 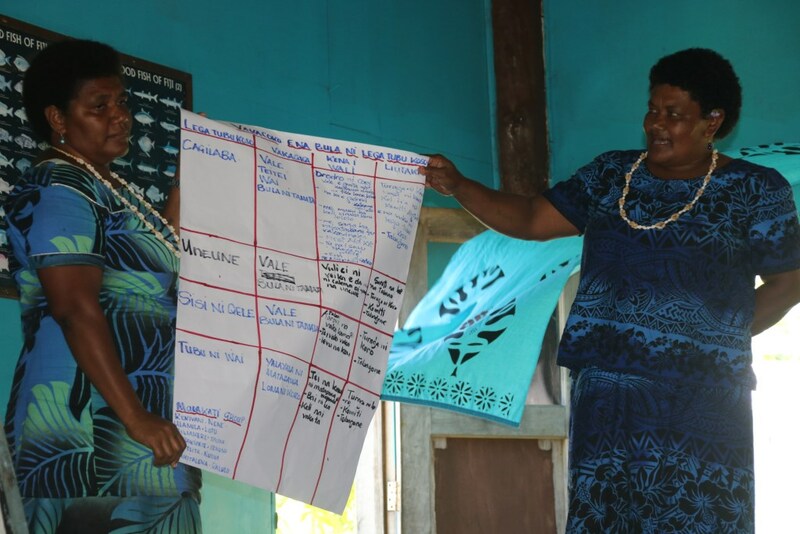 “The successful implementation of the district’s 2018-2038 Sustainable Development Plan will be determined proper planning and good governance structures in place for the implementing bodies at community level which is the Nacula Tikina Development Committee (NTDC),” said Apolosa Robaigau. Robaigau added that the Nacula Tikina Development Committee are currently reviewing their draft implementation plan, terms of reference and constitution. Na Turaga na Tui Drola, Ratu Manasa Naikasowalu, who was part of the two day consultation adds that there is still a need for more training. “My involvement in this training is to spread the awareness to the community at large, more training is needed and it is no easy task as we are talking about holding discussions at district level,it is a task that needs the full commitment of the committee and a lot of training for the community,” added Ratu Naikasowalu. Robaigau said that the next step now is to present the outcomes back to the communities then to finalize the DRR plans and the setting up of a DRR committee. Nacula villagers in a group work discussion. Turaga na Tui Drola, Ratu Manasa Naikasowalu part of the consultations at Nacula village. Malakati village participants partaking in a DRR group discussion. 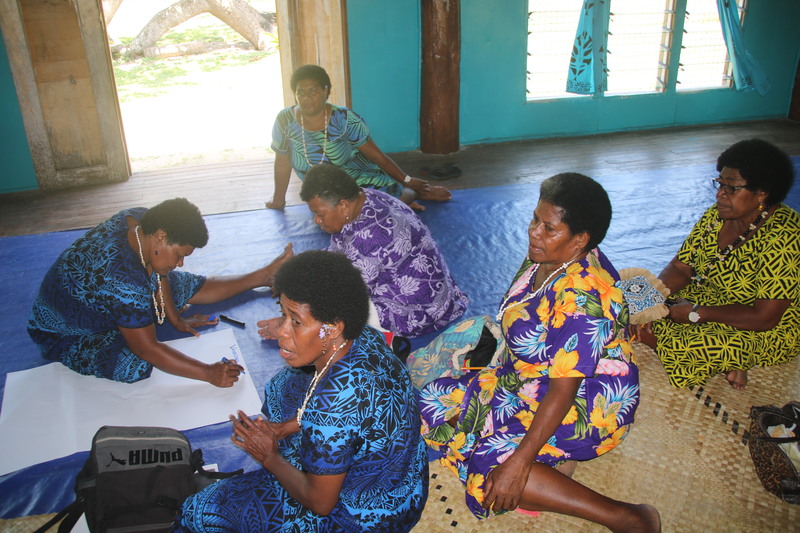 Malakati women participants part of the consultations at Nacula village.